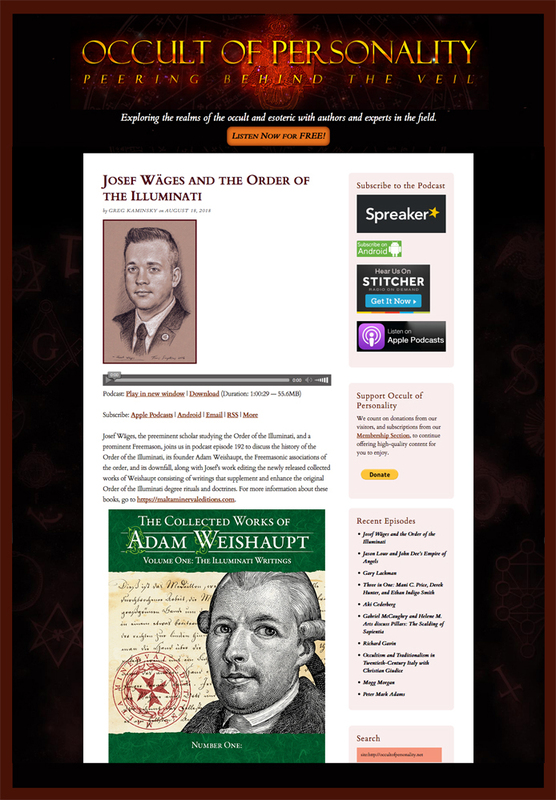 Thanks to Greg Kaminsky, host of Occult of Personality, for including my portrait of Josef Wages with his interview on the podcast website. Episode 192: "Josef Wages and the Order of the Illuminati" is an enlightening way to spend an hour, well worth the listen. Check it out.